Snežana Trišić was born in Belgrade in 1981. In 2009, she graduated from the Department of Stage and Radio Directing at the Faculty of Dramatic Arts in Belgrade, in the class of Professor Nikola Jevtić and Assistant Professor Alisa Stojanović. In period between 2013 and 2015, she worked as a Stage Director in the National Theatre in Subotica. Since 2015, she has been working as an Assistant Professor with Professor Ivana Vujić at the Department of Stage Directing at the FDA in Belgrade. Selection of her productions: Family Stories by Biljana Srbljanović (Faculty of Dramatic Arts, 2007); The Class by Matjaž Zupančić (National Theatre of Republika Srpska, Banja Luka, 2009); Samoudica by Aleksandar Radivojević (Theatre Atelje 212, 2009); Hedda Gabler by Henrik Ibsen (National Theatre in Belgrade, 2011); How Much is Pate? by Tanja Šljivar (Theatre Atelje 212, 2012); A Miracle in The Viper’s Sweetheart by Ante Tomić / Maja Pelević (National Theatre in Subotica, 2012); The National Drama by Olga Dimitrijević (Bora Stanković Theatre in Vranje, 2012); Pinocchio by Carlo Collodi / Jelena Mijović (City Theatre Podgorica, 2013); Mr. Dollar by Branislav Nušić / Dimitrije Kokanov (National Theatre in Subotica, 2014); Rhinoceros by Eugene Ionesco (National Theatre Kikinda, 2014); Kasimir and Karoline Odon von Horvath (Theatre Atelje 212, 2014); Noises Off by Michael Frayn (National Theatre in Subotica, 2015); What Happened after Nora Left Her Husband; or Pillars of Society by Elfriede Jelinek (Yugoslav Drama Theatre, 2015); The Gorge by Žanina Mirčevska (National Theatre Kikinda, 2016); Terrorism by Vladimir and Oleg Presnyakov (Belgrade Drama Theatre, 2016). Snežana won numerous awards and recognitions for stage directing at renowned festivals in the country (Yugoslav Theatre Festival, Užice; Festival of Classics, Vršac; Festival of Vojvodina Professional Theatres; Festival of Serbian Professional Theatres “Joakim Vujić”; Days of Comedy Festival, Jagodina; PIP, Aleksinac, JoakimInterFest, Kragujevac; Theatre in Single Action, Mladenovac, etc. ), as well as abroad (Children Theatre Festival, Kotor; International Festival of Theatre Schools in Brno, Czech Republic). For Kasimir and Karoline, she won Sterija’s Award for Stage Directing in 2015. Snežana also won recognitions for best stage director, namely “Ljubomir Muci Draškić” Award awarded by Atelje 212 and the Award of the City of Belgrade, as well as the “Hugo Klein” Award for best student in her generation at FDA (2007). As a recipient of Kennedy scholarship (John F. Ken­nedy Cen­ter for the Per­for­ming Arts, U.S. Sta­te De­part­ment), Snežana Trišić participated in the programme for stage directors and in numerous workshops in Washington D.C. and Chicago, 2010. In 2013, she enrolled into doctoral programme at the FDA in Belgrade. Snežana attended the International Seminar for Stage Directors, organised by ASSITEJ Germany in cooperation of ASSITEJ International, in the Schnawwl Theatre for Children and Young People in Mannheim in 2015. Judging from the above, the play could not be saved by anything. However, there was a miracle. Right here, in this extremely dangerous slippery ground, in the sphere of suppressed and almost completely absent humanity, Shakespeare expressed the full force of great poet’s skill. He manages to set a surprising equilibrium and make all the dangerous flaws into virtue, in an impressive way... The question is – how could it be possible… Shakespeare has given his completely freakish hero, the crowned king of evil and crime, such an appealing and sharp intelligence, such bold spirit, strength of self-control and irony, eloquence and the power of persuasion, that the audience becomes deeply abhorred and afraid of him, but at the same time, they fear for outcome of his (Richard’s) “endeavours” and, what’s more, they cheer for him… namely, a viewer experiences both pro and contra catharsis made after the prescription of maestro Shakespeare, the unsurpassed healer, analyst and diagnostic of soul’s pains and therapy. 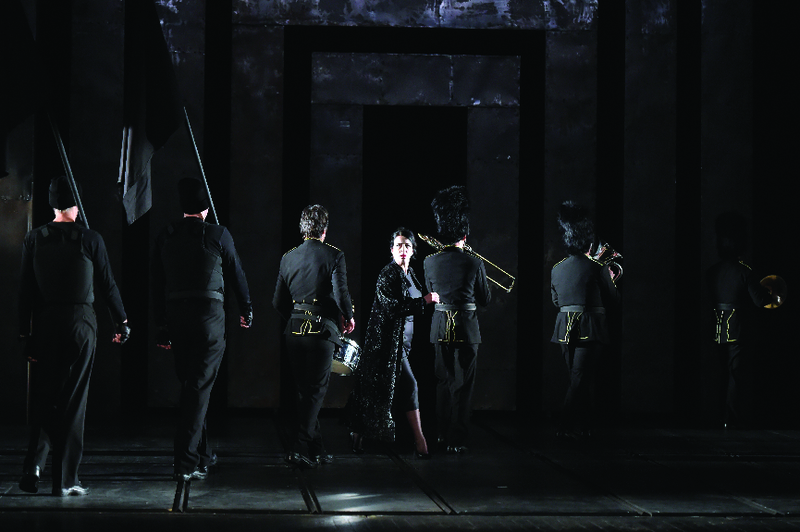 This is why this “anti-play”, as a testing ground, as a grain of temptation, as a challenge to test oneself, to question and prove one’s powers, is so often revisited by the boldest of artists, researchers and experimenters throughout the world and the audiences everywhere congregate in auditoriums whenever Richard III is on the repertoire. In the end, there is a strong experience – Richard III is a great or, should we say, a brilliant play one remembers until the end of one’s life. 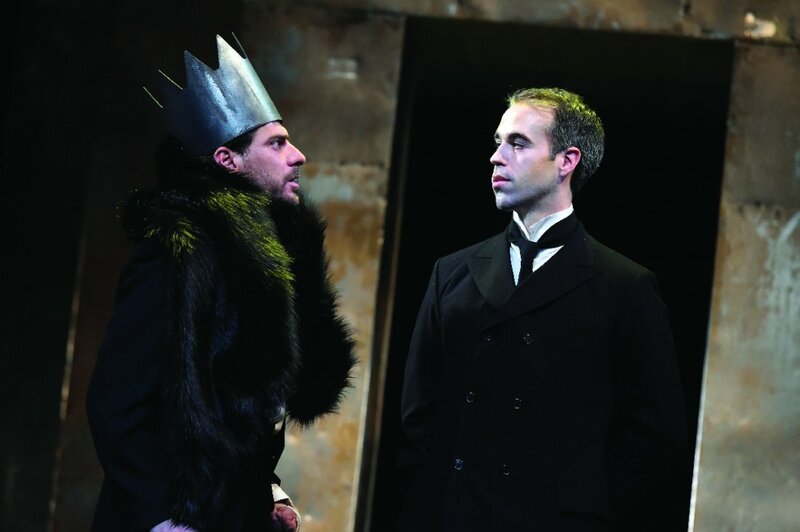 Shakespeare’s Richard III, translated by Laza Ko­sti­ć, found its way to the National Theatre’s repertoire for the first time on 30th January 1898. 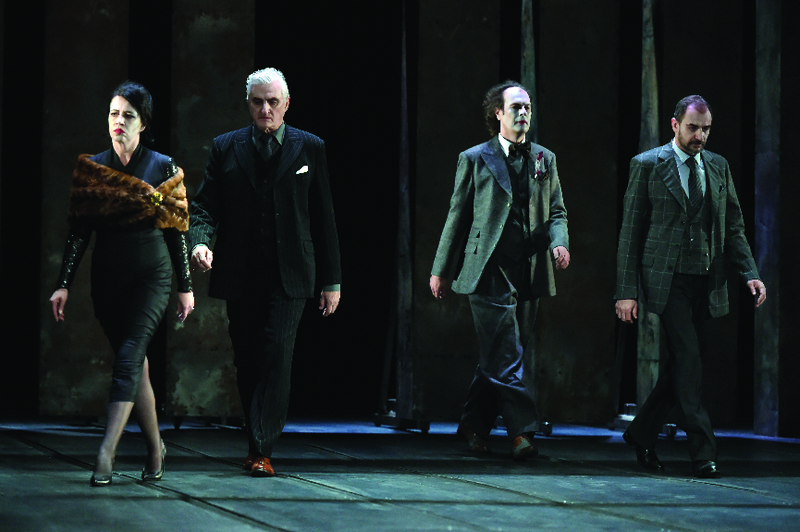 The staging was very ambitious; new set and costumes were obtained from Vienna, while Milorad Ga­vri­lo­vić, the leading actor at the time, directed it and interpreted the leading role. 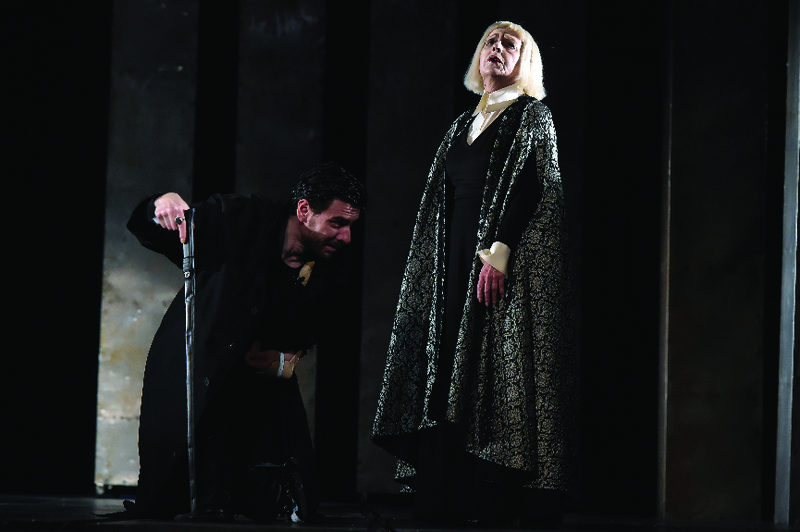 The reviews stated that Ga­vri­lo­vić interpreted the role of Richard convincingly, passionately and rationally, however he failed to portray sufficient amount of evil and demonic character, but both he and Vela Nigrinova (Lady Anne) “were superb at each situation (especially in the second scene of the first act) that gave opportunity to illustrate conflicts, feelings and passions”. It is noteworthy to mention the ninth performance, given on 2nd March 1901, in which a guest artist from Russia performed, it was none other than Prince Alexander Ivanovich Sumbatov Yuzhin, a member of the Imperial Theatre of Moscow. 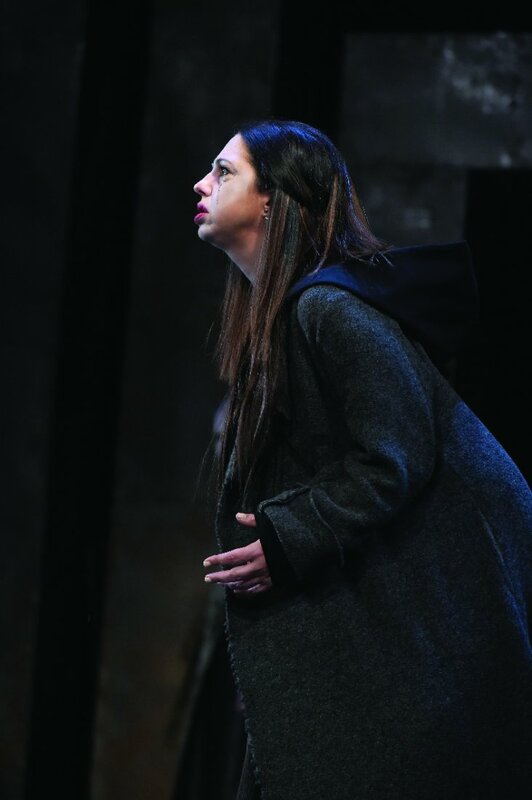 The press wrote, “Yuzhin was superb in this role as well. One could see that there was deep and comprehensive analysis in all scenes. The artist was particularly successful in the dreadful fifth act, when at night all the victims haunt his character. Although the character he interpreted was repulsive and left an uncomfortable feeling with the audience, the audience, who appreciated Yuzhin’s artistic accomplishments, gave him cordial applauses after each act, and even twice in one of the acts. On that evening, the theatre was again packed to capacity”. The cast consisted of 38 actors and numerous “lords and courtiers, knights, ghosts, soldiers, etc.”, which was quite an endeavour for the ensemble at the time. 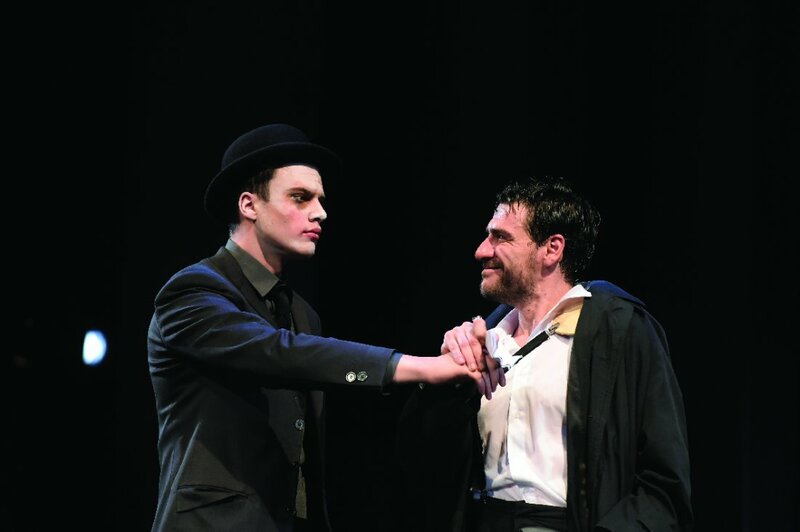 Five years later, on 18th and 20th May 1906, Mihailo Isa­i­lo­vić, who was a stage director in the Düsseldorf Theatre, interpreted the role of Richard. 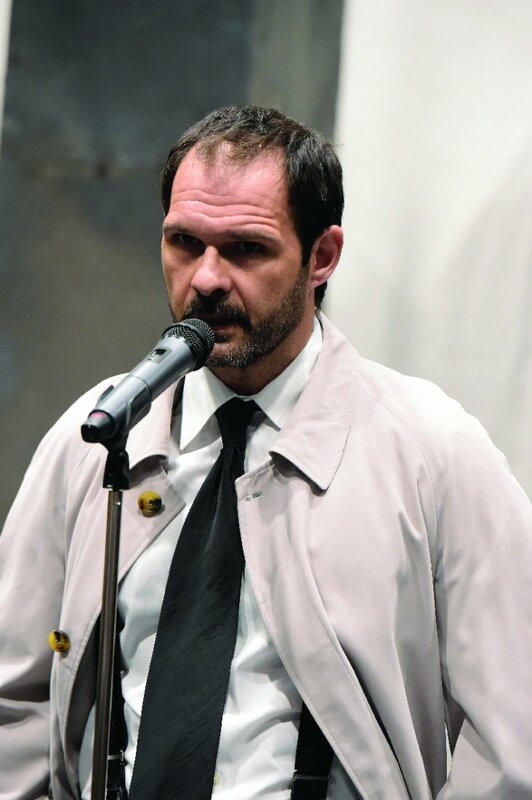 Upon success in German theatres, he interpreted the role in Serbian language for the first time, but it did not stop him from interpreting the “demonic side of villain’s damned soul” successfully. 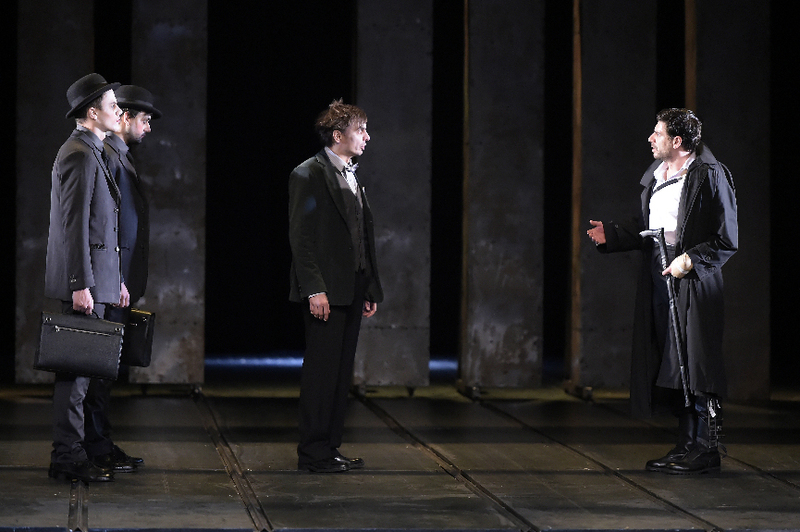 It was the last performance of this staging, which had 18 performances. 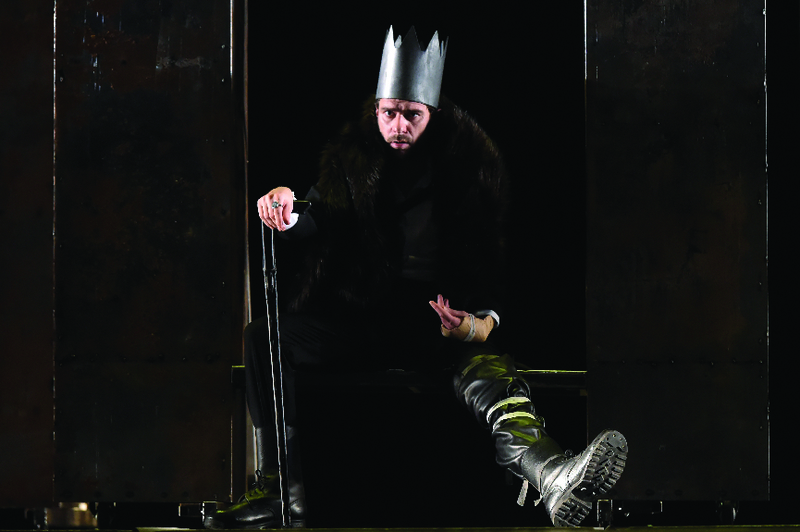 Ljuba Sta­no­je­vić was the next Richard III in a production he directed himself. The premiere took place on 30th October 1908. It was noticed that Sta­no­je­vić’s interpretation presented “a warmer, softer and nobler Richard”. This staging was on the repertoire only until the end of the season; it had 4 performances. After the Great War, Richard III made it to the repertoire again on 4th May 1922, and again Laza Ko­sti­ć’s translation was used. 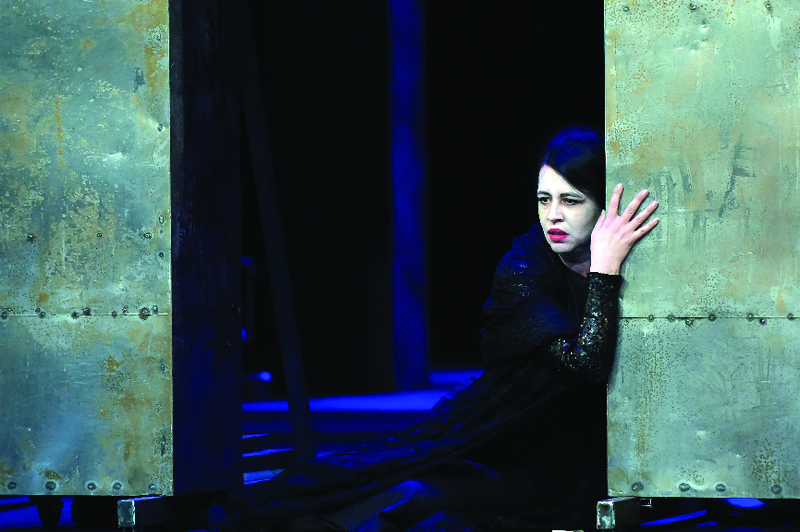 The stage director and protagonist was Mi­ha­i­lo Isa­i­lo­vić. Leonid Brailovsky designed the set and the costumes. 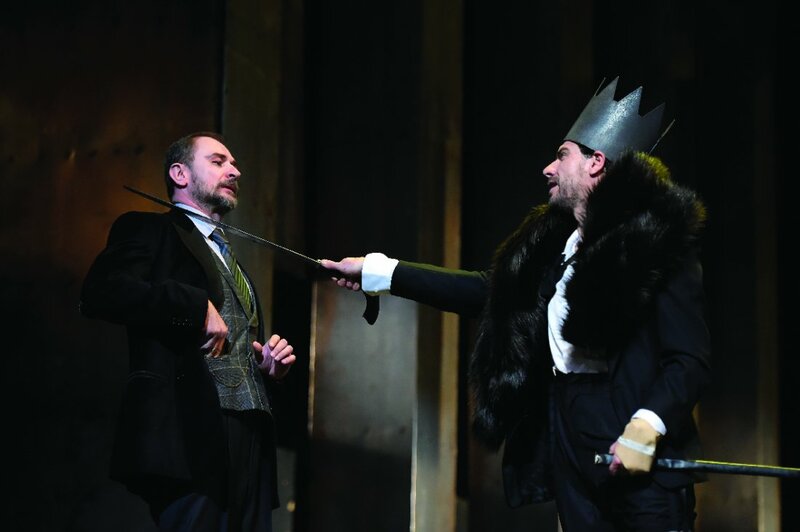 “Acting, costumes, set – it is obvious that the production was skilfully prepared”, the reviews say and assess that Isa­i­lo­vić “has profoundly studied Richard’s character and was brilliant with irony and cynicism”. The staging remained on the repertoire for three seasons and was performed 11 times. The next staging took place half a century later, for which a new translation was used; the new translation was done by Ži­vo­ji­n Si­mi­ć and Si­ma Pan­du­ro­vi­ć. 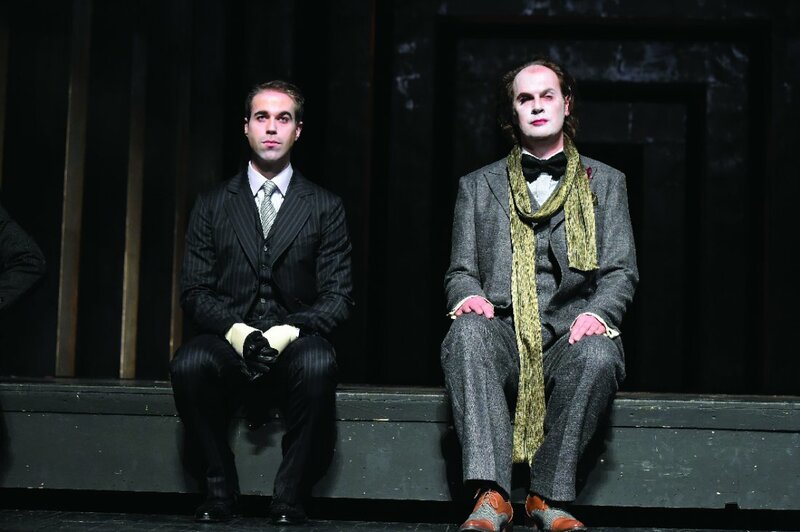 Dr Hugo Klein directed it, Vladimir Ma­re­ni­ć designed the set, Bo­ža­na Jo­va­no­vić designed the costumes and Bra­ni­sla­v Ci­ga Je­ri­ni­ć designed the masks. 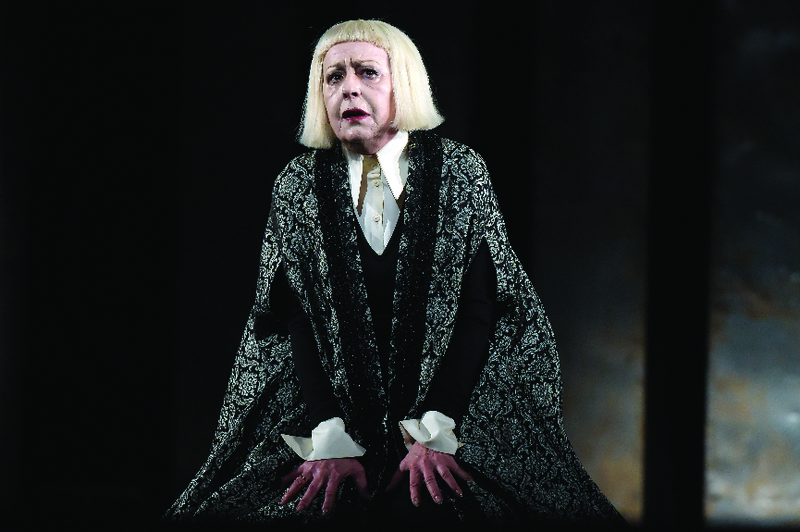 The premiere took place on 30th March 1972, with Mija Alek­si­ć in the title role. In order to explicate Richard’s personality with situation in which he was born to and in which he lived, Klein decided to give the play a very popular theme at the time, the hippie motto “Make love not war”. The critics said that the performance was “static and neutral”, that Klein approached the play with “academic reverence”, which turned out to be more important than characters to him. Mi­ja Alek­sić interpreted Richard as “a court intrigue plotter” instead of “a bloodthirsty and ruthless killer and a power greedy king”. This production remained on the repertoire for less than two years. 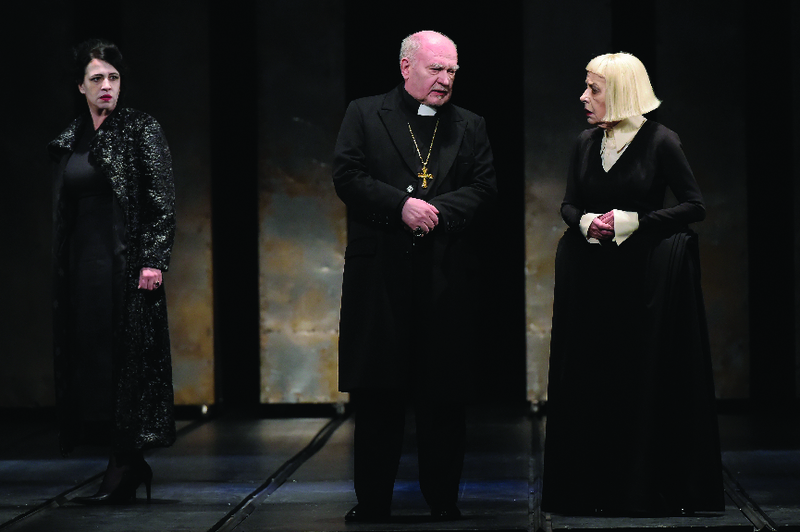 The last staging of this historical play took place in April 1992; Vida Og­nje­no­vić directed it, Bo­ri­s Mak­si­mo­vi­ć designed the set, Ljiljana Dra­go­vić designed the costumes. Predrag Vra­ne­še­vić composed the music and Lidija Pilipenko designed the choreography. Pre­drag Mi­ki Ma­noj­lo­vić who interpreted the leading role, as the critics said, was a sort of “a broker of theatre… not only is he a servant to inferno, he is its stage director and a leading actor, as well”. His Richard is an intrigue plotter in the beginning, only to develop, as the plot thickens, into an aggressive and arrogant “bully who stops at nothing on his way to the throne”, which he does by making “the moves of merciless impatience”. 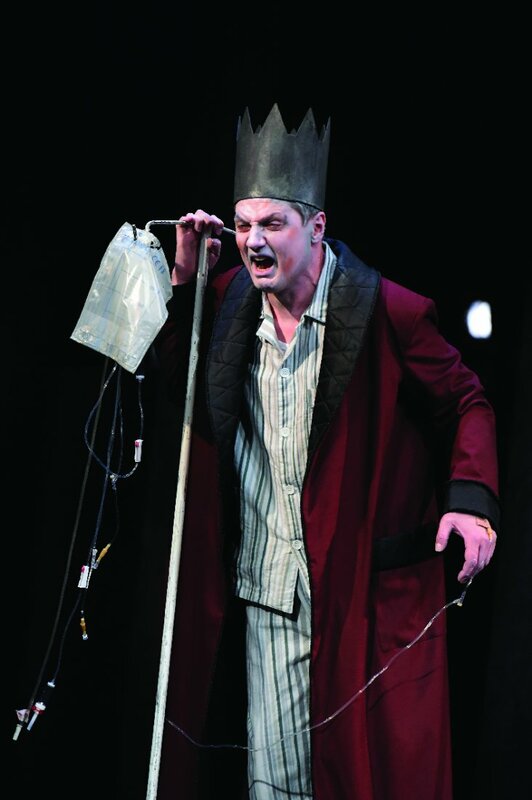 Owing to “his expertise in expressing most complex states of mind”, Ma­noj­lo­vić succeeded in portraying what makes a monstrous king “a being”. Upon Richard’s death, his young successor appears on the stage and begins to limp burdened by the lump on his back, “Evil, therefore, does not die. It lies in the crown. Or more precisely, it lies on the path to the crown.” The whole cast was awarded with the National Theatre’s Award, while Stela Ćet­ko­vić received an individual award. 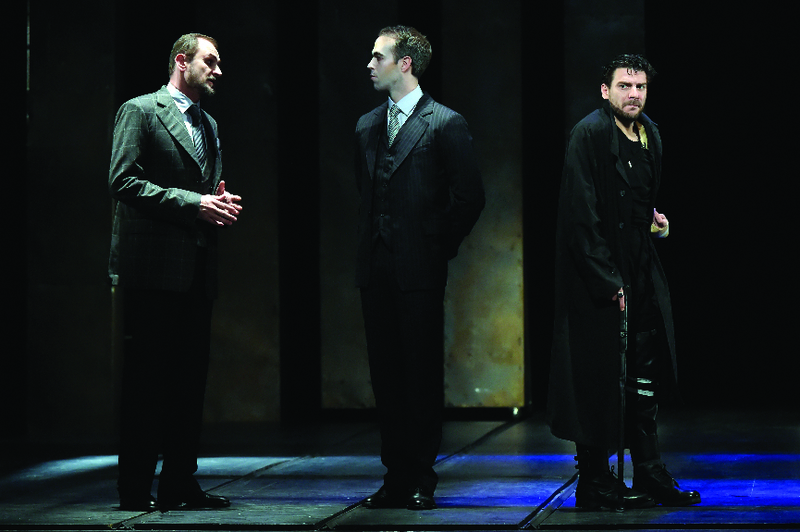 The staging was performed for only two seasons; it had 19 performances and was seen by 6000 people.